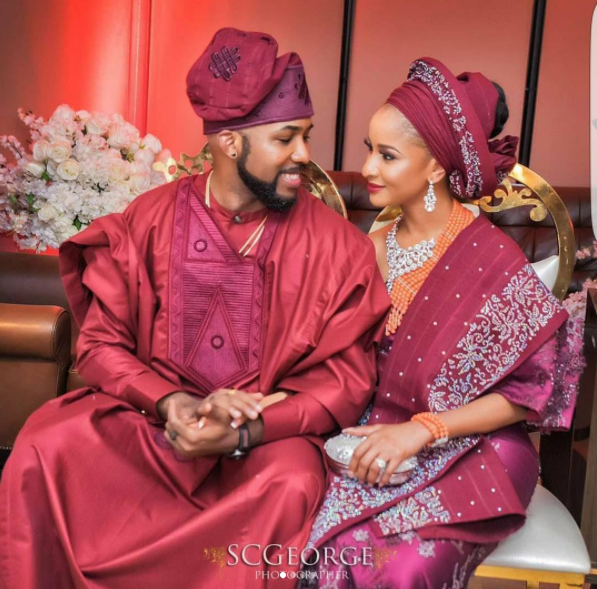 Following the couples-to-be frenzy proposal that took place earlier last week, the Nigerian musician, Banky W and actress Adesua Etomi quickly proceeded with their wedding engagement also called introduction today. The duo could be seen kissing as family and friends cheered them on. The two stars had made a shock announcement of their relationship this week sending social media users into a frenzy.